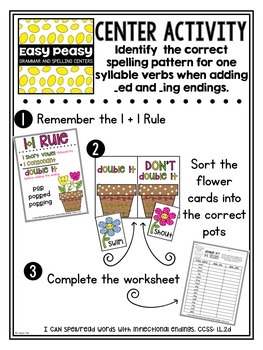 This Easy Peasy Center covers the spelling pattern for doubling the consonant when adding _ed and _ing. Are you tired of using up all your ink? Wasting your time cutting out complicated pieces? Centers with too many parts? Then these are for you! 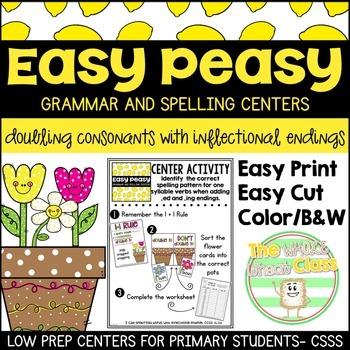 EASY PEASY CENTERS are easy to print, easy to cut, and easy for kids to use! 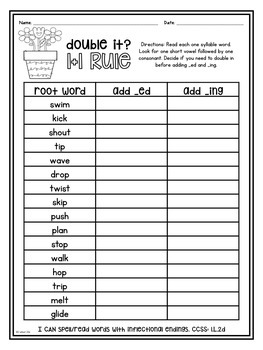 There are 8 one syllable words to be sorted. Don't forget to leave feedback! Leaving feedback earns you points for future TpT purchases! Simply refresh your page after downloading.